Since 2004 to date, the banking sector and Central Bank of Nigeria (CBN) have welcomed three different Governors of three different governing styles. In essence, Chukwuma Soludo, Lamido Sanusi and Godwin Emefiele represent three dimensional regimes in one critical sector-Banking. 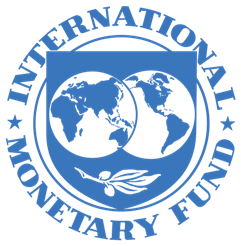 For those that lived through the Central Bank of Nigeria (CBN) regimes of Professor Chukwuma Soludo and Mallam Lamido Sanusi, it was always a difficult act to objectively locate the successes and failures of both administrations in terms of curing the banking sector of its endless Ebola diseases and building strong bricks for sustainable future growth. The reason being that you either loved one intensely to over-trumpet his pet achievements in office and overlook the obvious shortcomings or you loathed the other with such intensity to brand him colossal failure without reservation. It was a time when emotion ruled the hearts and minds of men rather than factual reasoning. Yet, some held on to reason, but many failed the emotional test. In the matter of Soludo and Sanusi, there was no room for siddon look (due apologies to the late Cicero of Etsako, Chief Bola Ige). Yes, you must love one lovingly and despise the other rudely-such was the atmosphere that pervaded the era of both regimes. In 2004, Soludo mounted the stage as CBN Governor through the blessing of the Olusegun Obasanjo administration. His policy mantra was Banking Consolidation via N25 billion capital base for banks. The key objective was to strengthen the balance sheet and capacity of Nigerian banks to underwrite big ticket transactions and in the process, energise sustainable growth of the national economy. However, a silent plank of the policy was to prune the number of banks operating in the country then from a record 89 operators to more manageable but stronger entities. Like every public policy, the unintended consequence was large-scale retrenchment in the banking sector arising from forced reduction in the number of Deposit Money Banks (DMBs) from 89 to 24. And like everything Nigerian, the controversies erupted on the basis of two latent questions. 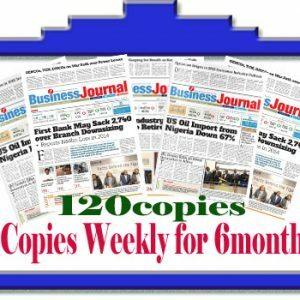 Must every bank write big ticket transactions? 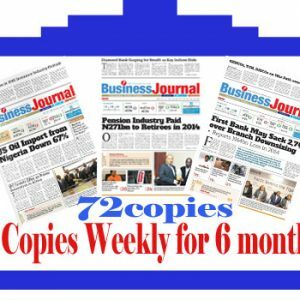 And secondly, must every bank operate with N25 billion capital base? By the time Soludo left office in early June 2009, his regime was known for ONE major issue: Banking Consolidation. The exit of Soludo gave rise to the emergence of Mallam Sanusi Lamido Sanusi as CBN Governor. In early 2009, Sanusi called a press conference in Lagos and announced the sack of the management of Intercontinental Bank Plc, Oceanic Bank Plc, Bank PHB, Fin Bank, Union Bank of Nigeria, Afribank Plc etc. 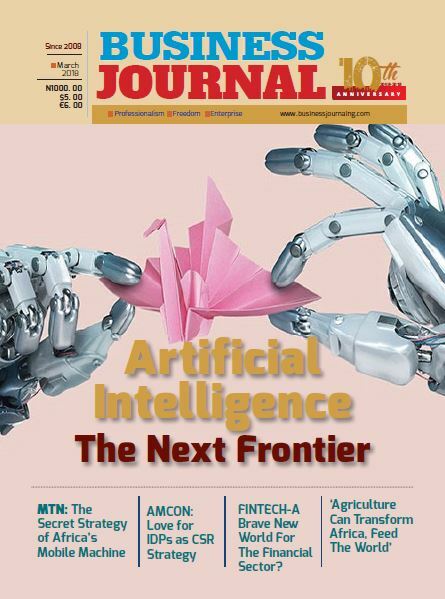 The banking sector quaked to its foundation-Welcome to Big Bang! As kudos and bewilderment visited his earth-shaking policy, Sanusi insisted his action was based on joint audit examination conducted on the victim-banks by examiners from the CBN and NDIC at two different periods. To his admirers, Sanusi was the Hero of Our Time. To his critics, he was nothing but a Regulator from Hell. And in a typical Nigerian fashion, the conspiracy theories took over the airwaves and printed pages. Again, the unintended question was: what happened to the Soludo Banking Consolidation magic touted as the divine path for Nigerian banks? As expected, the naysayers to the banking consolidation reveled in the beauty of the moment-‘ we said so’ became their mantra. For Sanusi, the sky was blue as more converts joined his Corporate Governance Crusade by the day, dumping to the dustbin, the opposing views of critics. Indeed, not even the resounding voices of lawyers to the deposed MDs that their clients were denied the opportunity of sighting and responding to the report of the CBN/NDIC examiners upon which they were sacked could sway the Sanusi lovers. ‘Don’t mind them, they were as guilty as charged’ became the sing-song of the Sanusi boys and girls. And when one of the deposed MDs, Cecilia Ibru was eventually convicted and jailed, the Sanusi regime was made. However, not long after, the sky suddenly turned red for Sanusi when he embarked on a voyage of ‘illegal’ disclosures against the Jonathan administration on alleged mission billions of Dollars at NNPC. And by the time his regime was truncated before its Final Hour in early 2014, the Sanusi regime succeeded in entrenching the tenets of Corporate Governance in our psyche. Some analysts in the markethave wondered what a regulatory nexus between the Tactical Policy of Soludo and Big Bang Style of Sanusi could have meant for the CBN as an entity, the banking sector and the larger economy. A case of what might have been- a dream ticket? Both Soludo and Sanusi were heroes and victims of a diseased banking sector- a sector that suffers from eternal scourge of man-made incurable Ebola Virus Disease (EVD). but left unanswered questions behind as humans they were. 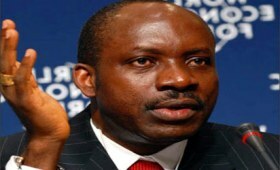 For Soludo, pruning down the 89 existing banks via Banking Consolidation before the advent of the global financial meltdown was a policy masterpiece that strengthened the banking system to effectively withstand the vagaries of the meltdown and stock market crash. 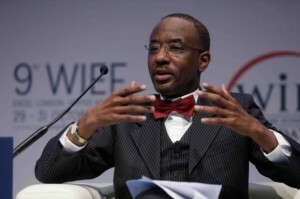 For Sanusi, enforcing and entrenching the Code of Corporate Governance in the banking system provided regulatory safeguard for the future of the financial system. On the downside, the Sanusi Big Bang was not a tribute to Soludo. How come the banks operated freely on deadly high level of non-performing loans for so long under the nose of the Prof.? For Sanusi, his endless controversies were damaging the health of the same financial system he swore to and was working to advance-a case of one step forward, two steps backward. 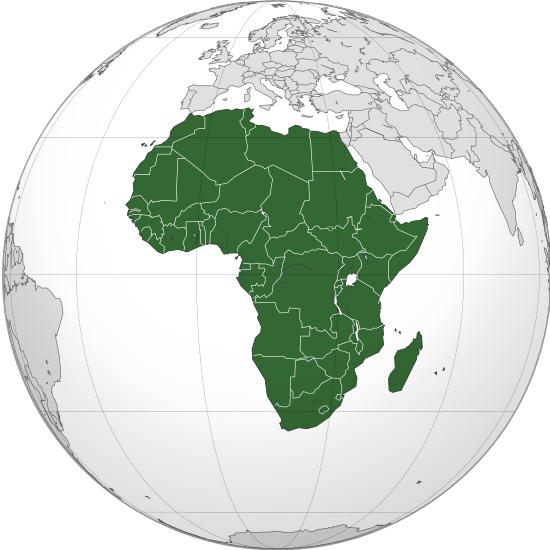 However, one recurring decimal of both regimes were high levels of fraud in the banking sector. As hard as they tried, none of them succeeded in extinguishing the raging fire of fraud in the financial industry. For instance, the NDIC noted in its 2012 Annual Report that Deposit Money Banks (DMBs) reported 3, 380 fraud cases involving over N17.97 billion with expected losses of N4.52 billion in 2012. This was a rise of 10.9% over fraud-related losses of N4.072 billion in 2011. Accordingly, the Rise, Fall and Rise of fraud cases in banks simply indicate that neither the Soludo Banking Consolidation nor the Sanusi Corporate Governance could cure the banking industry of its light fingers. Like life itself, the banking sector will always have problems and challenges, regardless of the name and face of the regulator. Today, we can collectively commend and condemn the two regimes for their good gestures and shortcomings respectively while in office. But we cannot but eulogise the zeal, zest and patriotic spirit behind tier different visions for the banking sector. 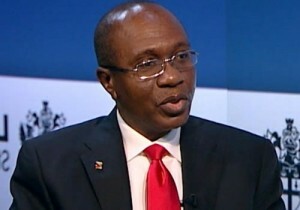 The unceremonious exit of Sanusi opened the door for the emergence of Godwin Emefiele as CBN Governor. Today, almost One Year in office, the market is still searching for the true face of Emefiele. But what is true is that Emefiele ascended the CBN throne at a very difficult and trying moment for the Nigerian economy. He is facing multiple challenges on multiple points: The free fall in oil prices, depletion of foreign reserves, depreciation of the Naira, projected drop in GDP growth for 2015, rise in inflation and lately, political and economic uncertainties arising from the 2015 general elections. In essence, Emefiele could be remembered in his First One Year in Office as Crisis Manager. However, the banks can at best stand on his commitment not to cause the death of any bank during his tenure. He made it clear thus: “I don’t want to leave a legacy of somebody who killed a bank. It is very simple. All I need to do is to ban them from the forex market from one week and there is going to be a run on the bank. But my responsibility today is to create financial system stability by ensuring that we support the banking and financial system so as to grow the economy. I will try as much as possible not to suspend a bank, but we would try as much as possible to try to make them do the right thing. ”While we wait anxiously for the true face of the Emefiele regime to emerge, we hope not to wait for too long.